On February 1st, Lama Mark Webber gave a public talk on the importance of encountering and generating a profound intention. He emphasized that all Buddhist meditation, study, contemplation and conduct is to keep learning, refining and generating a profound intent of the Dharma. Further, he talked about what is and is not the Dharma, building our capacity through discernment, mindfulness and the other Thirty-seven Factors of Enlightenment, compassion, meditation and liberating afflictive states. – the systematic ways in which mind is really settled of thoughts and concepts—outer, inner, secret and suchness levels. August 29th, 2018, Common Foundations, Refuge and Bodhicitta, Lho Lungkar Monastery, Zadoi County, China. While staying at Lho Lungkar Monastery (Wogmin Thupten Shedrup Ling) in the Eastern Tibetan region, Lama Mark was asked by Lho Ontul Rinpoche to teach on the Common Foundations (the Four Thoughts that Turn the Mind from Samsara) and the Drikung Yangzab Dzogchen Preliminary Liberating Instructions. Lama Mark explains the Common Foundations, Taking Refuge, and Generating Bodhicitta as well as the importance of developing profound intention for practice: the wish for all sentient beings and ourselves to be liberated and fully awaken from suffering states. May 4th, 2017, Where is meditation to be found? Antigua, Guatemala. Lama Mark gives an evening talk on where meditation is to be found. Through a series of metaphors and instructions, he guides us to the effortless, unchanging freedom intrinsic to our own minds — none other than total empty-luminious-compassion for all sentient beings. This is the meditation of Mahamudra and Dzogchen: the ultimate meditation. Lama Mark Webber gave teachings and instructions on a key point of Dharma practice; how to overcome afflictive emotions and thoughts through bodhicitta. Lama Mark began the retreat by explaining relative and ultimate bodhicitta (the mind of enlightenment). He taught classic Buddhist meditations on loving-kindness, relative and transcendent compassion, antidotes and paths, as taught in the Buddha’s three cycles of Dharma. The Lama also gave the transmission, explanations and a session of Tonglen practice (sending and receiving), a profound bodhicitta meditation by the 12th century Tibetan Lama Chekawa Yeshe Dorje. Lama Mark read verses, with some commentary from Khunu Gyaltsen Rinpoche’s (20th cent.) text, The Jewel Lamp; verses in praise of bodhicitta. He introduced participants to consider, reflect and meditate on being able to distinguish between the natural quality of unobstructed, natural and compassionate awareness—bodhicitta—and the waves of turbulence, emotions and attachments that appear to obscure this vivid awake mind. In addition to many other Dharma topics, he opened the door of understanding for contemplating Lho Orgyen Nüden Dorje’s (19th cent.) pithy contemplation on generating bodhicitta found in the Gonpo Yangzab Dzogchen Preliminary Liberating Instructions. Near the end of the retreat, “Tranquility and Dzogchen” held in Canterbury, New Zealand, Lama Mark gave a reading transmission of The Preliminary Liberating Instructions of the Drikung Gonpo Yangzab lineage. In this two-part recording, Lama Mark gives instructions and explanations about the Common Foundations, Taking Refuge, Generating Bodhicitta, Mandala Offering and Guru Yoga. He kindly received this transmission and detailed explanations from Drikung Lho Ontul Rinpoche. Dharma talk, Sunday November 19, 2017, Namgyal Choling Gompa, Galiano Island. Following a reading transmission the previous week, Lama Mark Webber reads and gives commentary on a few pages of verses from Khunu Lama Gyaltsen’s 1959 text called The Jewel Lamp, published by Wisdom as Vast as the Heavens, Deep as the Sea: A Praise of Bodhicitta. It is 356 verses expressing the boundless scope of Bodhicitta. Then, Lama Mark read and gave commentary on ten points of advice of “the ten kinds of waste” from Gampopa’s text called Precious Garland of the Sublime Path. Further into the class, Lama Mark describes the details and meaning of the Drikung Yangzab Dzogchen Refuge Tree from the perspective of the outer, inner, secret and suchness levels of Refuge and Bodhicitta. This led him to give essence advise — from the perspective of Vajrayana — regarding the vitality and importance of the generation and completion stage practices and their inseparability. May 13-20, 2017 – The Practice Anapanasati (Recollection of Breath), and Tranquility in unfolding the Mahamudra: 7 Dharma Talks at Villa Sumaya, Lake Atitlan, Guatemala. 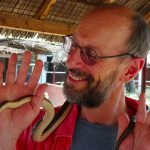 During the first week of a two week retreat at Villa Sumaya, Lama Mark Webber teaches traditional tranquility and loving-kindness practices from the tradition of Mahamudra. He also taught on Anapanasati, a classic method using the focus of breath to calm the mind and uncover wisdom. These meditations allowed retreat participants to be in a benevolent state and greater clarity in order to hear, study, and practice the transmission of the Three Statements of Garab Dorje, the Dzogchen teaching presented in the second week. January 12, 13, 2017 – Bodhicitta: its essence, generation and practice. Three Dharma talks at Pema Tamdrin Ling Buddhist Centre, Burnaby, British Columbia. Lama Mark Webber gave three talks on the nature, generation and practice of Bodhicitta. The main text used was the eight lines on generating Bodhicitta from the Preliminary Liberating Instructions of the Drikung Gonpo Yangzab lineage. The Lama’s emphasis was in explaining this profound prayer and contemplation, especially the meaning and importance of the phrase; luminously clear vajra essence (ösel dorje nyingpo). October 17, 2016 – Discovering Mind’s Nature: The Heart of Buddhism: A Dharma Talk given to the students in Religious Studies course Rels 223: Buddhism, at Queens University,Kingston, Ontario. Lama Mark Webber was requested by Dr. Ellen Goldberg to give a Dharma Talk to her students in Buddhism: Rels 223. In the class Lama Mark briefly talks about the importance of starting with a very high aspiration of Bodhicitta and Refuge, how he came to study, practice and teach the Dharma, and the foundations of the Path, including why and how we have anxiety, dis-ease, and suffer. Then he shows that all experience, happy or sad, is conceptually built and can only be experienced by mind. Lama Mark points out, by having the students look directly at their experience and the space of the mind, that mind’s innate nature is empty of all suffering, confusion, and clinging. It’s nature is unobstructed, unfixed, and pervaded by love and compassion. This inexpressible nature is emptiness (shunyata). He emphasizes that understanding and correctly experiencing emptiness leads to ever more profound expressions of love and compassion— this defines what a Buddhist (in practice and conduct) really is. July 2 to July 24, 2016 – All About Karma (causality) – 15 Talks from July 2 to July 24, 2016 at the Crystal Mountain Annual Summer Retreat, taught by Lama Mark WebberThe study and meditative practices on karma (causality) are one of the four common foundations practiced in all traditions of Buddhism. These 15 recordings of Lama Mark teaching give detailed meditative instructions and commentary for understanding cause, effect, interdependence and emptiness. Lama Mark taught from the Suttas, Sutras and Tantras—the three cycles of the Buddha’s teachings — a rich offering, to bring retreatants to profound understandings of causality, both relative and Buddha-karma. In addition we were fortunate to receive step by step instructions on meditation from the lineage of Vipassana-Abhidhamma, especially from the tradition of Mahasi Sayadaw U Sobhana as passed down from Karma Namgyal Rinpoche to Lama Mark. 2016, Teachings in Queenstown, New Zealand. February 27th to March 13th, 2016 – Teachings on various themes by Lama Mark Webber, at The Queenstown Dharma Center, Queenstown, New Zealand. What is Buddhism? What is Dharma? What is meditation? A classical and modern perspective. Teachings on Refuge: Lama Mark explains the nature of, and importance of taking Refuge in the tradition of Buddhadharma. The Three Cycles of Dharma: From the Four Noble Truths to Dzogchen. The Three Turnings of the Buddha’s Teaching (Hinayana, Mahayana and Vajrayana) and the Nine Vehicles of the Nyingma tradition, including detailed teachings on Empowerments and Sadhana: A theory, instruction and practice course. Mini retreat. The Six Parami: Meditation, instructions and practice on the Parami, the six key relative and absolute practices and attainments to carry us over to the Transcendent experience: step-by-step teachings and practice. Allowing the Mind to be Easeful with Life: What are the reasons for cultivating an easeful body and mind? What do we need to cultivate, the key steps and stages. 2015, Seven Talks on the Six Parami including Foundations-Essentials of the Buddhist Path and the Bodhisattva commitment. December 11th to 13th, 2015 – A retreat given by Lama Mark Webber, at Namgyal Choling Gompa & Crystal Mountain Society, Galiano Island, British Columbia, Canada. Lama Mark Webber leads a three-day retreat on the important topic of the Six Parami. In these seven talks Lama Mark covers a wide range of essential subjects—such as ethics, karma, compassion, emptiness and meditation—to do with the heart of all Buddhist practice. The word ‘parami’ in Pali and Sanskrit means ‘to go beyond’, ‘supreme’ or ‘transcendent’. The six Parami, or supreme qualities of training and perfection of the Mahayana tradition are: 1) Dāna pāramitā: generosity, giving of oneself (Tib. sbyin-pa), 2) Sīla pāramitā: virtue, morality, proper conduct (Tib. tshul-khrim), 3) Kṣānti pāramitā: patience, tolerance, forbearance, acceptance, endurance (Tib. bzod-pa), 4) Vīrya pāramitā : energy, joyful perseverance, diligence, vigour, effort (Tib. brtson-‘grus), 5) Dhyāna pāramitā: one-pointed concentration, mental stability, samadhi, unity of bliss-clarity, and no-thoughts (Tib. bsam-gtan) and 6) Prajñā pāramitā: wisdom, insight (Tib. shes-rab). The three main books Lama Mark refers to in these talks are: 1) Ven. Namgyal Rinpoche, (2002). The Path of Victory, Bodhi Publishing. Kinmount. 2) Gampopa, The Jewel Ornament of Liberation, the Wish-fulfilling Gem of the Noble Teachings, Translated by Khenpo Gyaltsen Rinpoche, Snow Lion, Boston, 1998. The Vimuttimagga (The Path of Freedom), by Arhant Upatissa, Translated by Rev. N.R.M. Ohara, Soma Thera and Kheminda Thera, Pali Text Society, Kandy, 1995. 2015, The Heart Sutra: The heart of Dharma Dec 3-6, 2015. A non-residential retreat in Nanaimo BC. Lama Mark teaches from the heart sutra during this retreat. The teachings will have great depth for both beginners and experienced Dharma practitioners alike, covering the nature of Mahayana Buddhism, the path of the Bodhisattva, emptiness and Compassion. Lama Mark clarifies the misunderstood concept and meditations on Emptiness, and shows why the term is used, its various levels of meaning, and why it is at the heart of all Buddhism. 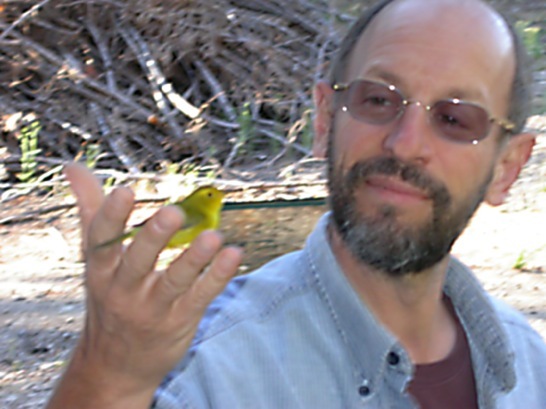 November 13th, 2015 – A class by Lama Mark Webber in Toronto as part of a urban retreat on the Drikung Yangzab outer and inner preliminaries, practices, and studies. This recording is the final class of a week-long teaching and urban retreat on the Drikung Gonpo Yangzab Dzogchen Preliminary Practices. These two yogas are a distinctive feature of all Vajrayana practice. The class was was designed to orient the practitioners to the core of Tantric practices so we understand the reasons for these profound practices, what they help us accomplish and why undertaking them with sincerity and commitment lead to such high attainments. Lama Mark quoted sections from the classic text of Jamgön Kongtrul Lodrö Thaye, called “Creation and Completion.” Translated by Sarah Harding, Wisdom Publications, Boston. 2002. 2015, Lojong Mind Training – Five Talks Lojong Teachings, Zurich, Switzerland. Sept 25-27. During this series of talks Lama Mark Webber explains the Tibetan Mahayana practice of Lojong Mind Training. A profound method of mind training in the Tibetan Buddhist tradition. 59 aphorisms, antidotes and methods used for recognizing what is unwholesome and what is liberative. Interwoven throughout these talks, Lama Mark speaks on devotion, Guru Yoga, Refuge, Bodhicitta, Compassion, and Emptiness. The text used for this series of classes was “The Great Path of Awakening” by Jamgon Kongtrul. Translated by Ken McLeod. Shambala Classics. 2005. 2015, Heart Sutra Teachings Heart Sutra teachings, Sept 19-20. Vienna. Lama Mark Webber teaches from the Heart Sutra during this urban retreat. The mini-retreat was a introduction to the Dharma and the art and heart of Buddhist meditation. The Heart Sutra is a short summary of a great classic teaching, studied and practiced, even today, by thousands of people, many who have attained great realizations. The teaching points directly to the nature of Emptiness; the essence of all experience, the essence of all Dharma, the essence of all things, the essence of full awakeness, the essence of compassion and the essence of most meditations. It is a pithy and poetic meditation text and opens the door to a vast View of freedom and compassion. Lama Mark clarifies the much misunderstood concept of Emptiness and show why the term is used, its various levels of meaning and why it is at the heart of meditation, in fact, all Buddhism. 2015, Intro to Buddhism and teachings on the Heart Sutra Intro to Buddhism and teachings on the Heart Sutra + Chenresig, Sept 11-13th. Tarragona, Spain. In these talks, Lama Mark explains the practice of Mandala Offering in the tradition of Drikung Yangzab and the Four-Armed Chenrezig Meditation by the Terton Lho Nuden Dorje. These profound meditations are for building great merit and insight and uncovering the vast riches of Compassion and Wisdom. They help us remove many obstacles on our path to full Awakening. Lama Mark Webber outlines the Mahayana practice of Tonglen, or “Giving and Taking” meditation. The practice involves taking the negativities and difficulties of others into ourselves, transforming them, and sending back love and compassion. During this series of talks Lama Mark Webber explains the Tibetan Mahayana practice of Lojong Mind Training. A profound method of mind training in the Tibetan Buddhist tradition. 59 aphorisms, antidotes and methods used for recognizing what is unwholesome and what is liberative. Interwoven throughout these talks, Lama Mark speaks on devotion, Guru Yoga, Refuge, Bodhicitta, Compassion, and Emptiness. The text used for this series of classes was “The Great Path of Awakening” by Jamgon Kongtrul. Translated by Ken McLeod. Shambala Classics. 2005. 2015 What it Means to be a Buddhist June 26-28, 2015. What it Means to be a Buddhist: Nanaimo, BC. Secular Buddhism and mindfulness is wildly popular these days and many people seek out meditation to experience less stress, better health, and more happiness. But the Buddha didn’t offer a self-help technique to make ourselves feel better. Buddha Dharma is the teaching of full awakening. It offers a path for training the mind and heart that is motivated not by self cherishing, but by the compassionate and strong desire to liberate oneself and all other beings from mental suffering. In addition to teaching us how to train our minds through meditation, the path of awakening requires us to train in ethical living, to study and uncover the nature of reality, to take wise action based in wise view, and to insightfully serve others. Since this path can be challenging, it can be supportive to explore and understand what it means to “Be a Buddhist”. What does it mean to take refuge in the Three Jewels of the Buddha (awakened mind), the Dharma (teachings of liberation) and the Sangha (wise teachers and mentors who understand the View of an Awake mind)? What are the Precepts that guide our actions and behaviour in the world? What is merit and why must we strengthen our mind and heart and clarify our volitional patterns (karma)? What is the Bodhisattva Vow and how can we cultivate a deeply compassionate intention to guide our body, speech, and mind? In this series of classes, Lama Mark offers teachings and guidance on these and other topics. 2015 Embodying the Dharma: Key Points to take to Heart in Accomplishing the Path. June 24-25, 2015. Dharma Treasures. Vancouver, BC. 2014 No Compassion—No Awakening March 14 to April 24, 2014. Queenstown Teachings. Queenstown Dharma Centre, New Zealand. Lama Mark shares his views, with classic Dharma teachings and modern science, urging us to refine our compassion towards “all encompassing compassion”. He cautions us not to cling to nihilistic emptiness experiences, no matter how blissful, clear and thought-free they are. Further, he emphasizes that profound emptiness, the recognition of innate wakefulness (cognizance), is really full unity with compassion for all. A compassion that Jamgon Kongtrul called “uncommon bliss, which does not change” and “the path of uncommon emptiness whose essence is compassion”…the “supremely great love”. Lama Mark talks about the Great Bliss of compassion being ineffable: the power and splendor to skillfully protect and free beings from delusion and suffering. A compassion beyond all statements and reference points. He shares with us that if recognition of the mind’s natural freedom— all phenomena, including us, are by nature fresh unobstructed openness, a grand wonder— is not vividly apparent or able to be sustained, then the answer is not necessarily more meditation, or another book, or the meditation technique, but a requirement to gather more merit. The first reading is from an article entitled, How Neuroscience Can Make You Kinder, an interview with the neurosurgeon James Doty, New Scientist Magazine, Oct. 19, 2013. The main text used for the teachings is called, “Cognizance: The Instruction that Points Out the Basis of Flawless Meditation, by Tsele Natsok Rangdol (17th cent. ), translated by Erik Pema Kunsang in Perfect Clarity: a Tibetan Buddhist Anthology of Mahamudra and Dzogchen. Rangjung Yeshe Publications, Kathmandu, 2012. The classes finished with quotes on compassion by Jamgon Kongtrul and Albert Einstein. 2013 Mahayana Refuge and the Bodhisattva Vow February, 2013. Vajra Yogini Retreat. The Wangapeka Study and Retreat Centre, New Zealand. These two classes were given prior to the bestowal of the Full Mandala Empowerment of Vajra Yogini at the Wangapeka Study and Retreat Centre in 2013. In them, Lama Mark explains the nature of, and importance of taking Refuge in the tradition of Buddhadharma. 2013 The Five-Fold Mahamudra Dharma Talks November 22-24, 2013. Mindfulness to Mahamudra. The University of British Columbia, Vancouver, Canada. Lama Mark explores the profound depth of the Mahamudra, by showing that every aspect of the Tantric practice, and throughout the sadhana, is really Mahamudra. It is not that we practice something other than Mahamudra, but we approach it’s full glory in many different ways. In this way of approach, central to the Drikung Kagyu, a unity of Mahamudra view is practiced from the start. The tradition of the five branches: 1) Mahamudra of Bodhicitta; the essence of the cause. 2) Mahamudra of the Yidam deity; the essence of practice. 3) Mahamudra Guru yoga and devotion; essence of qualities. 4) Mahamudra, the true nature; the essence of meaning. 5) Dedication, sharing of merit; the essence of method.Lama Mark kindly received these essential instructions (phyag chen lnga ldan), of Rigdzin Chökyi Trakpa, precepts of Mahamudra practice of Jigten Sumgön (1143-1217) from H.E. Ontul Rinpoche and he shared glimmerings of these profound teachings with his students during a mini-retreat in Vancouver. Using a number of Drikung-pa texts, Lama Mark gave teachings that deepen and bring out practical and effective ways to practice and accomplish compassion inseparable with pristine awareness. 2013 Dharma and Natural History. January 21st- February 4th, 2013. Dharma and Natural History. Cayos Cochinos, Honduras. These classes- given between scuba dives and snorkeling, microscopic investigations and informal marine biology classes on an island of Cayos Cochinos, Honduras- describe the joyous and curious approach of the natural historian and scientist. This spirit of enquiry and mode of investigation is indeed not so different from that of the experienced meditator! Woven into Dharma talks and a growing vision of a natural history of Awakening, were readings from the book: The Way of Natural History, edited by Thomas E. Fleischner, Trinity University Press, San Antonio, 2011. The waves of the Caribbean lapping against the sandy beach below where we gathered for classes may be heard in the background. 2013 Foundations_of_Mindfulness January 4- 8, 2013. Foundations of Mindfulness. Vancouver School Of Theology, UBC, Vancouver, Canada. In January at UBC, Lama Mark lead us in meditations and gave teachings on the many facets of classic Buddhist mindfulness training and how they relate to some discoveries in neuropsychology. He explained the Four Foundations of Mindfulness and gave some profound instructions from the Mahamudra and Dzogchen traditions. Lama Mark gave an introduction to the classic ten meditations of Mindfulness (Recollections), showing the diversity of strengths developed, and how they lead well beyond ‘bare attention’ to a profound and normally hidden aspect; a naturally vital, spontaneous-wakeful-presence merged inseparably with compassion for all beings. 2012 The Mahamudra. November 7- 15, 2012. Fully Awake Compassionate Mind: Crown Initiation of Vajra Yogini and 3 Month Retreat. The Dharma Centre of Canada, Ontario, Canada. During a three-month retreat on the Tantric Yidam Vajra Yogini and the Six Dharmas of Naropa at the Dharma Centre of Canada, Lama Mark gave a week of teachings on the precious path of Mahamudra. 2012 The Mangala Sutta. September 14-17, 2012. The Buddha’s Mangala Sutta: the union of loving-kindness and awareness. Winnipeg, Manitoba. This series of six classes was given in Winnipeg and based upon the Buddha’s Mangala Sutta or the ‘Discourse on Blessings’. Weaving ancient wisdom with modern insights Lama Mark presented the path of Liberation as the discernment of what truly constitutes blessings and how these must be accumulated. The teachings address such questions as, ‘How do we mindfully, lovingly and wisely be with others and ourselves?’ and ‘How does the spiritual life integrate with our normal, busy lives?’. Drawing on this discourse of the Buddha, Lama Mark clarifies what we truly need and what harms us in our efforts to become Awake and compassionate. 2012 Refuge, Precepts, Bodhisattva Commitments and the Dharma Name. July 26, 2014. The Jewel Ornament of Liberation Retreat. Galiano Island, BC, Canada. This class was recorded at the Crystal Mountain Retreat Centre on Galiano Island, Canada, during a retreat on Gampopa’s text, “The Jewel Ornament of Liberation” (see below). The talk was given prior to the traditional Mahayana ceremony for the Taking of Refuge, the Five Precepts,the Bodhisattva commitments, and the bestowal of a Dharma Name. Reference is made to Gampopa’s text. 2012 The Jewel Ornament of Liberation. July 7th to August 25th, 2012. The Jewel Ornament of Liberation Retreat. Galiano Island, BC, Canada. This series of 60 Dharma talks were recorded during a retreat at Crystal Mountain Retreat Centre, Galiano Island, during July and August of 2012. They are a detailed exposition and commentary on the famous Tibetan text, “The Jewel Ornament of Liberation- the Wish-fulfilling Gem of the Noble Teachings” by Je Gampopa (1079–1153). Lama Yongdu primarily read from Khenpo Gyaltsen Rinpoche’s 1998 translation (Snow Lion, Ithaca, New York) but referred to and used two other English translations: 1) “Gems of Dharma, Jewels of Freedom” by Je Gampopa, translated by Ken and Katia Holmes, 1995, Altea, Forres, Scotland. 2) “The Jewel Ornament of Liberation”, by sGampo.pa, translated by Herbert Guenther, 1971, Shambala, Berkeley. 2012 Cutting through to the Root May 25- 27, 2012. Cutting Through to the Root: Meditations & teachings on the Illusions that Cause Suffering States. Zurich, Switzerland. 2012 Contemplating the Nature of Illusion January 15 to February 11, 2012. Contemplating the Nature of Illusion Teachings on the 12 signs of Illusion from the Indian Tantric Tradition. Balam ya, Panajachel, Atitlan Lake, Guatemala. 2011 What is the Problem ? ! June 29, 2011. Four Noble Truths and Essence of Mind. Winnipeg, Manitoba, Canada. 2011 Namgyal Clear Seeing Talk June 16, 2011. Ever Deepening Mindfulness: Tuning up the Inner Microscope and Telescope. The Dharma Centre of Canada, Ontario, Canada. 2011 Anapanasati teachings and Retreat May 2- 6, 2011. Establishing Mental/Emotional Freedom: The Art and Science of Meditation. Lake Konstanz, Switzerland. 2010 Thirteen talks on the practice of the Namgyal Guru Yoga May 20- June 1, 2010. Contemplating Illusion, Contemplating the Essence: Continuing explorations of the Namgyal Guru Yoga. The Dharma Centre of Canada, Ontario, Canada. 2009 Public Dharma Talks July 9, 2009. Crystal Mountain, Galiano Island BC, Canada. 2009 Meditation, Therapy and Mindfulness June 27- 28, 2009. Meditation, Therapy and Mindfulness. Vancouver School Of Theology, UBC, Vancouver, Canada. 2009 Exploring the Interface of Spiritual Practice & Therapy September 13-14, 2008. Exploring the Interface of Spiritual Practice & Therapy. Vancouver School Of Theology, UBC, Vancouver, Canada. 2009 Dzogchen Talks January 30- February 1, 2009. “The Essential Point in Three Statements” by Khepa Sri Gyalpo (Patrul Rinpoche). Waldpädagogisches Zentrum Burgholz, Wuppertal, Germany. Teachings and instructions on the Natural Mode of Freedom – Commentary on the Essential Point in Three Statements by Patrul Rinpoche. “Gasping for Breath” Excerpt from a talk given in November, 2008. Anapanasati, the Four Foundations of Mindfulness and Dzogchen teachings. Bodega Resort, Galiano Island, BC, Canada. Lama Mark’s new CD set, “All Life Breathing” is available to order from Terry Frewer. This entire series of 25 talks was recorded during a month-long retreat on Anapanasati (Mindfulness of Breath) and the Four Foundations of Mindfulness (November 8- December 7, 2008). There are 21 successive talks on Anapanasati followed by 4 classes of Dzogchen (Great Perfection) teachings. Lama Mark Webber taught from the Buddha’s Anapanasati Sutta (Mindfulness of Breath, Majjhima Nikaya 118), the Buddha’s discourse called the Maha Satipathana Sutta (Four Foundations of Mindfulness, Digha Nikaya 22), the Vimuttimagga (The Path of Freedom) by the Arahant Upatissa, and The Essential Point in Three Statements by Khepa Sri Gyalpo (Patrul Rinpoche). The setting was Bodega Ridge, a quiet lodge on Galiano Island, British Columbia, Canada. The lodge is nestled on 22 acres of pristine coastal wilderness with magnificent views of Trincomali Channel, the surrounding Gulf Islands, and the Vancouver Island mountains. It was the perfect setting for 20 enthusiastic retreatants to receive teaching, personal guidance, and meditate deeply.